The track follows last summer's 'Like Sugar' from Khan's soon-to-be-announced new album. Chaka Khan has released the brand new, dance-oriented single 'Hello Happiness' as a New Year 2019 treat for her fans. It's the title track from her next album, details of which will be announced soon. It's out on the Diary label, via Island Records. You can listen to the new song below. The soul chanteuse will perform the track today (1 January) at the 130th annual Rose Bowl Parade in Pasadena, California, presented by Honda. The traditional new year event will start at 8am local time, and continue until midday. 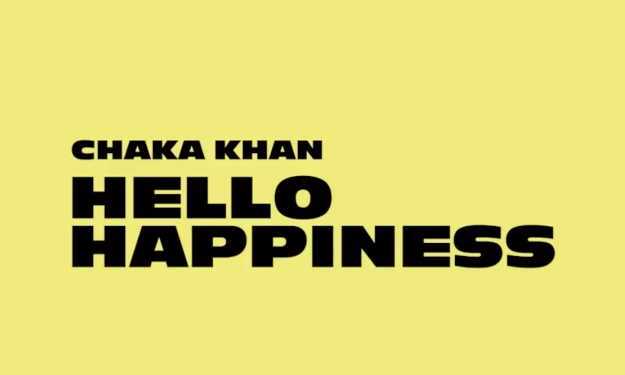 "I'm so excited to announce," wrote Khan on Facebook, "that I will be performing my latest single from my new album 'Hello Happiness' at the #RoseBowlParade2019 on Tuesday morning." Last June, the singer released 'Like Sugar' as the first single from the upcoming album. It was a collaboration with Switch, formetly one half of the Major Lazer duo with Diplo, whose other credits include work with Beyonce, Brandy, Santigold and Christina Aguilera. The new album will be Khan's first studio set since 2007's Funk This. She released the live album S.O.U.L in 2011. Organisers of the Rose Bowl Parade promise "Floral floats, spirited marching bands and high-stepping equestrian units along the 5 1/2 mile route down Colorado Blvd. Experience - in person-the magic of New Year's Day in an unrivaled celebration, exclusive to the streets of Pasadena!"